A councillor is protesting against a gift shop over its decision to sell controversial golliwog dolls. Sutton Councillor Lester Holloway has organised the protest outside the Memory Lane gift shop in Times Square shopping centre, after branding the dolls rascist. He has asked the shop, near Sutton High Street, to take them off the shelves. But a spokesman for the shop, which displays three of the dolls in its windows, defied his requests, and said it sold several hundred of the stuffed toys each year, and they were not illegal. The image of the doll, which started as a character in children's books in the late 19th century, was featured in Enid Blyton books, and used by British jam manufacturer James Robertson & Sons as its mascot before it was removed after boycotts of the product, is the subject of heated debate. Some argue it should be preserved as a cultural artefact. Others argue they have long been associated with rascist stereotypes and insults of racism against people of African descent. Councillor Holloway said: “Next month is black history month and as someone who is of mixed race, I find the dolls particularly offensive. Coun Holloway, a representative of Sutton North ward, has organised the protest on Facebook, and will be speaking on BBC radio this weekend to galvanise support for the protest. He said the shop had received only one other complaint in the 10 years it had stocked the dolls. Police and Sutton trading standards have been consulted by Coun Holloway over the matter but have not taken action because selling the dolls is not illegal. Protesters will meet outside Sutton station at noon on Friday, October 7, before marching on the store. The golliwog was first introduced as a children's character by New York author Florence Upton in 1895. • Based on a minstrel doll, the character was adopted by Enid Blyton in her Noddy books, as a badly behaved and often criminal figure. • In recent years, it has become a figure of controversy after being interpreted by many as a crude racial stereotype, with the term was used as a racial slur. • It was removed from the famous Robertson jam label in 2001 after public and political pressure. • In March 2007, officers from Greater Manchester Police seized two golliwogs from a shop after a complaint that the dolls were offensive. • This month an Enid Blyton fan was banned from selling the dolls at a vintage market in Bournemouth after council officials branded them racist. 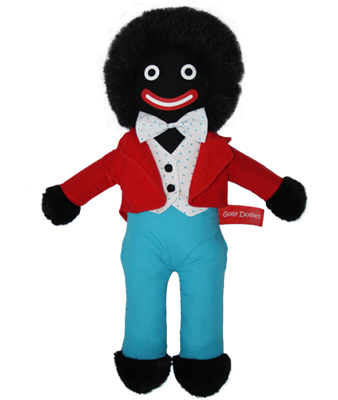 Offensive golliwog dolls are being sold by a British high street shop, much to the anger of a Black politician. Sutton, Surrey, Councillor Lester Holloway has organised a protest outside the Memory Lane gift shop in Times Square shopping centre, after branding the dolls rascist. 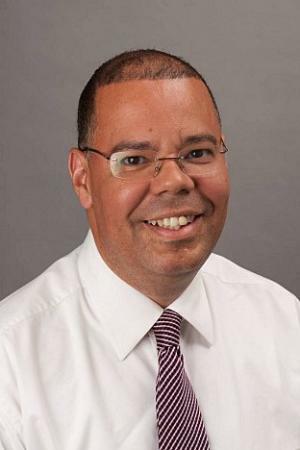 Councillor Holloway said: “This month is Black history month and as someone who is of mixed race, I find the dolls particularly offensive. Cllr Holloway, a representative of Sutton North ward, has organised the protest on Facebook, and will be speaking on BBC radio this weekend to galvanise support for the protest. Police and Sutton trading standards have been consulted by Cllr Holloway over the matter but have not taken action because selling the dolls is not illegal. * See also: Top firm forced to remove racist logo.